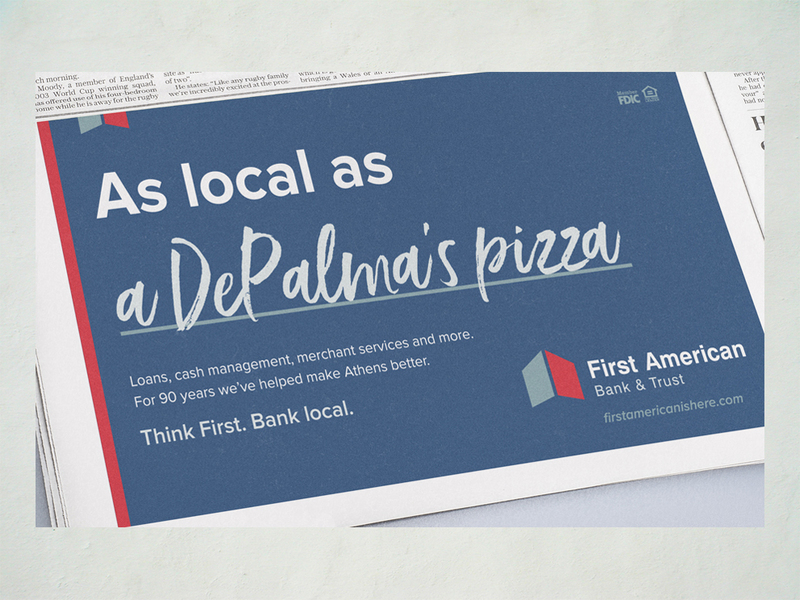 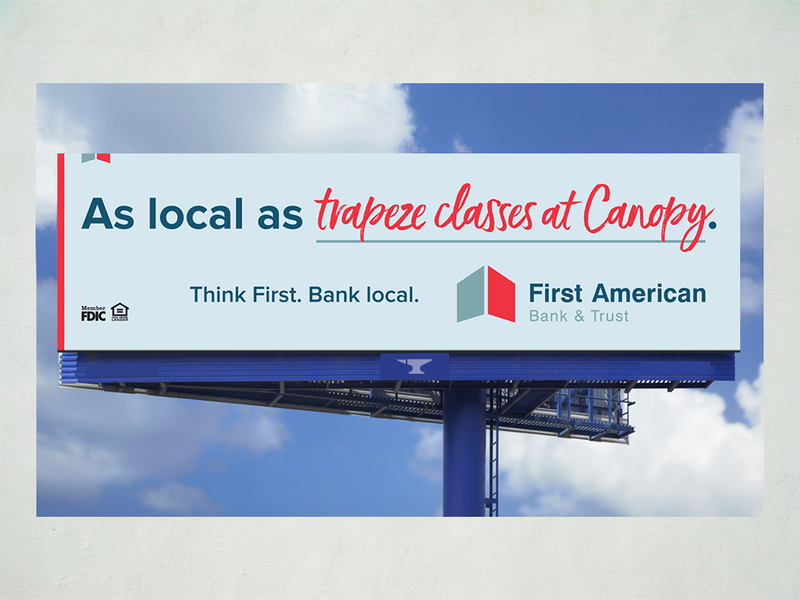 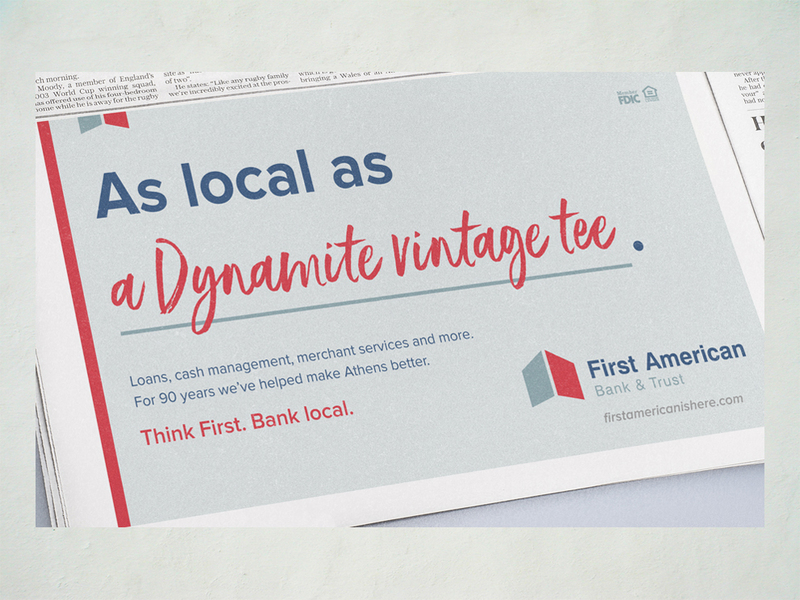 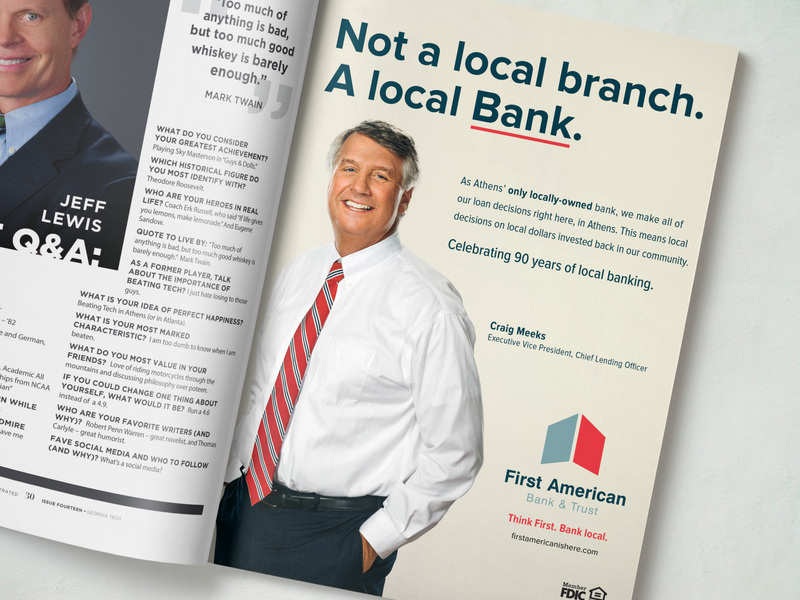 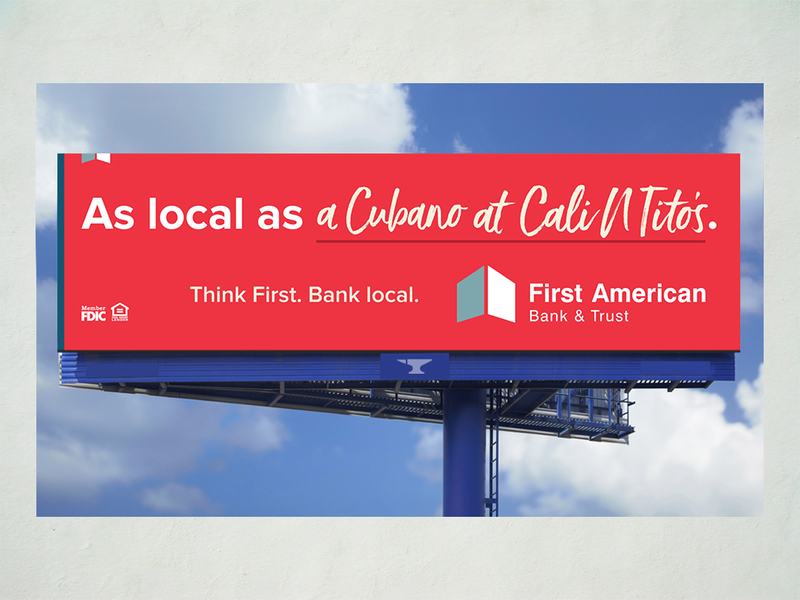 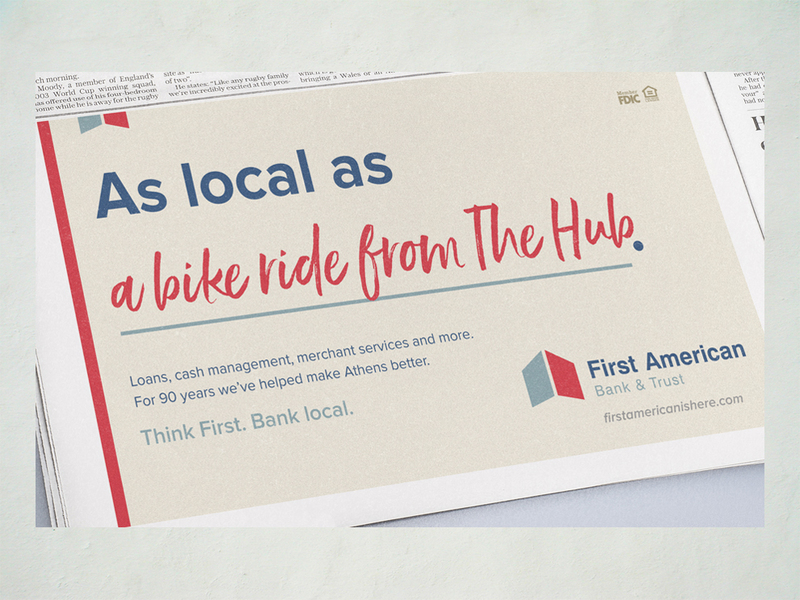 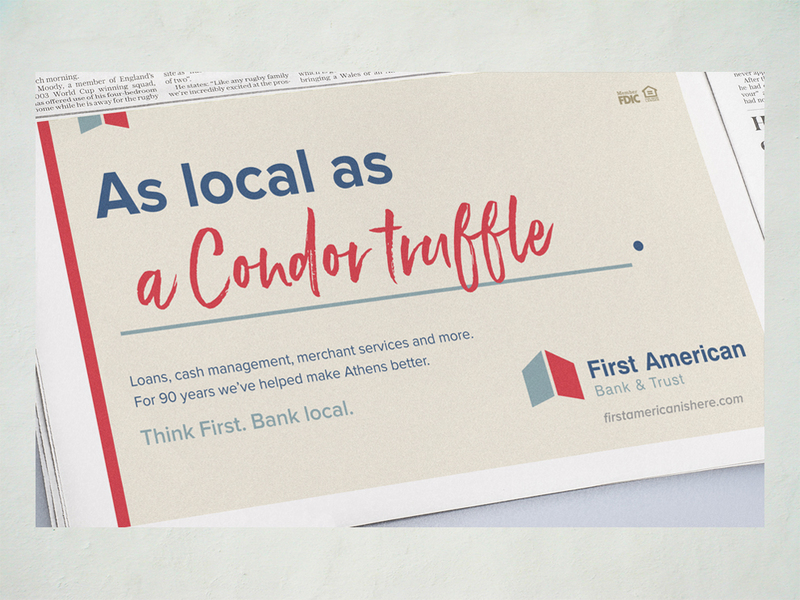 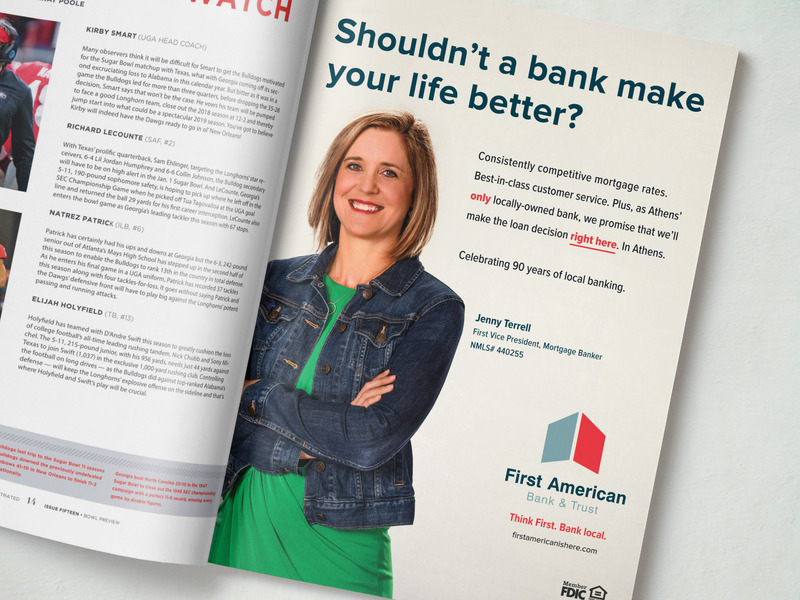 First American Bank is the one true locally-owned local bank. A financially strong, well-respected bank that has been a vital part of the Athens and the north Georgia community for an incredible 90 years (think about that for a moment) with a history of providing excellent customer service by people who are woven into the fabric of the community. 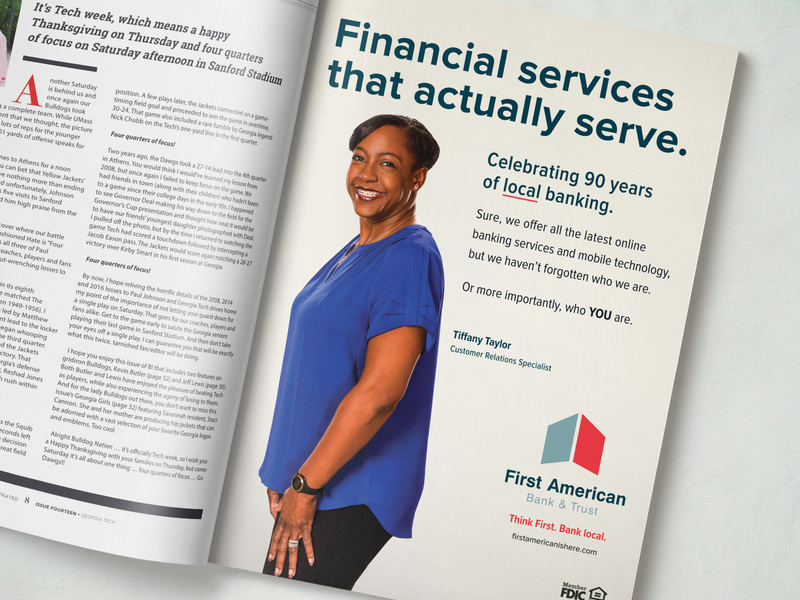 The challenge would be to create a new, multi-platform, comprehensive marketing campaign that celebrated their longevity as well as the fact that they are as technologically advanced as any bank in the country. 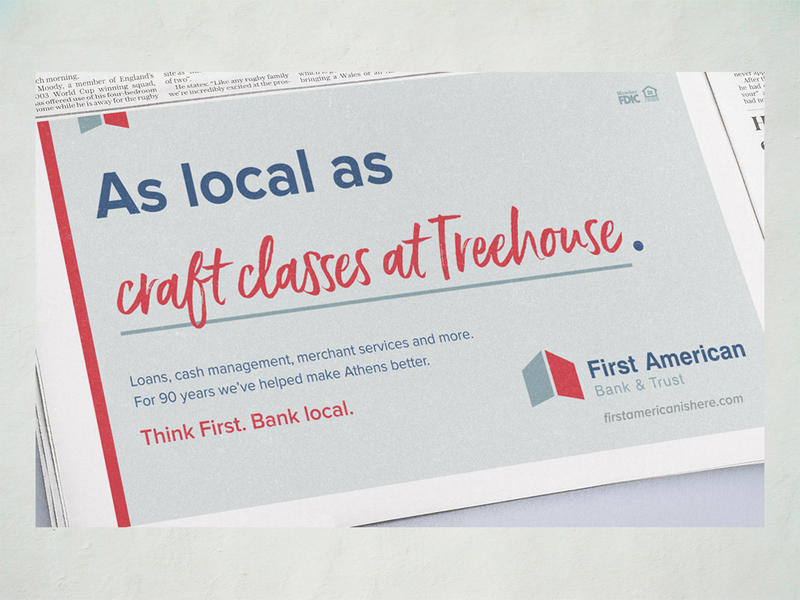 The campaign “Think First. 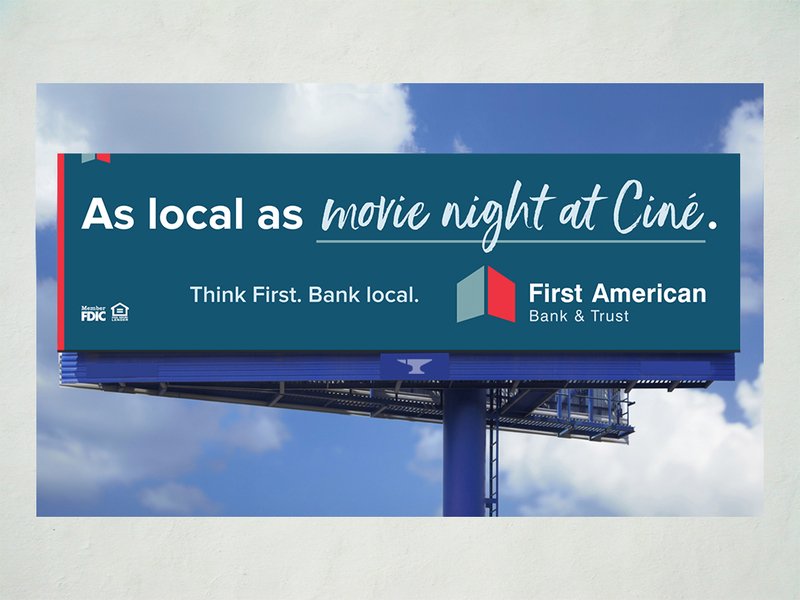 Bank local.” delivers that through television and video, digital ads on various platforms, billboards, print media, in-bank signage, social media platforms, web site graphics, drive-thru banners and much more.